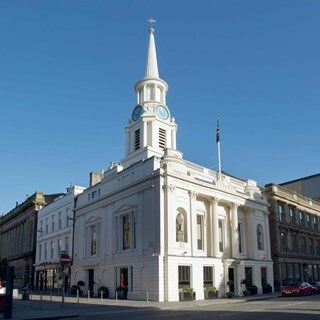 From the seductive lure of 158 Lounge to the decadent grandeur of the The Hutchesons City Grill right through to our secluded Private Dining Room, Hutchesons is a restaurant & bar like no other, with three floors of culinary innovation mixed with classical aesthetics, creating a truly unique experience. 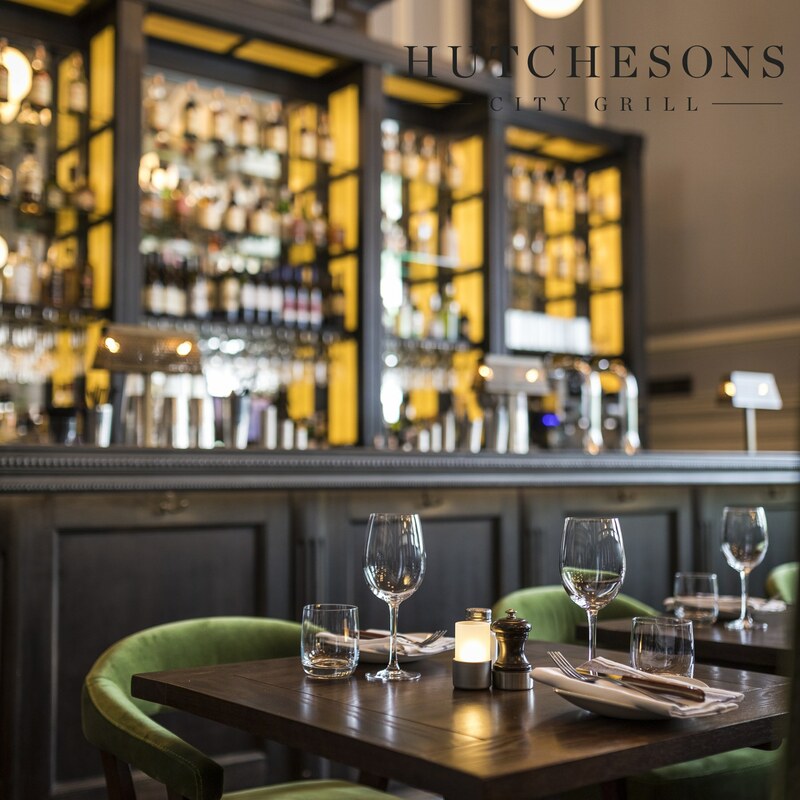 Serving Champagne, Steak & Seafood, experience all of the charms of Hutchesons with our carefully curated menus. 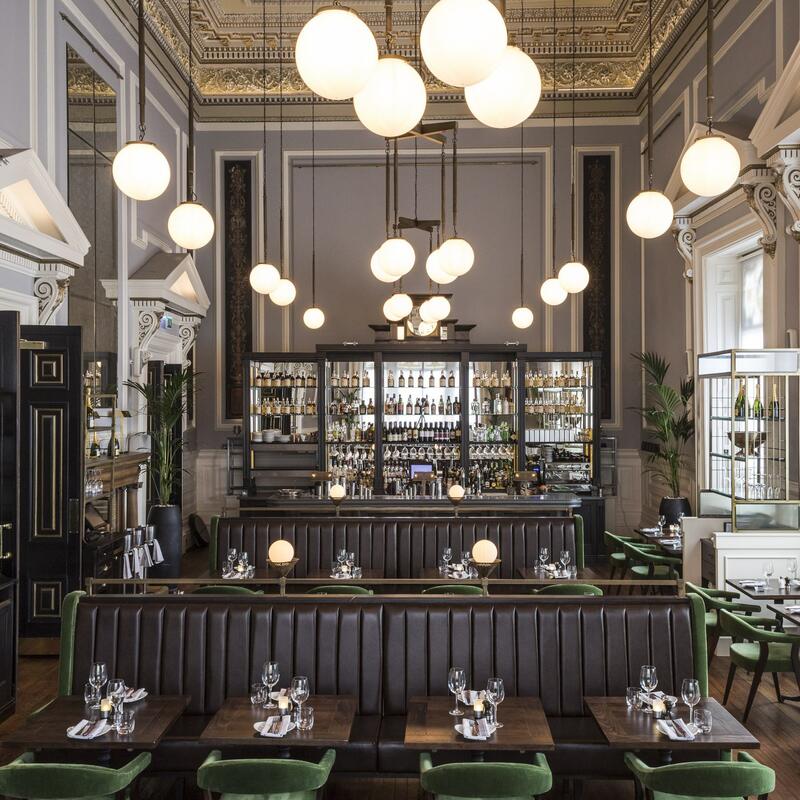 The crowing jewel of Hutchesons is our City Grill, a sublime and ornate dining room and one of the most exquisite double heighted ceilings in Glasgow. 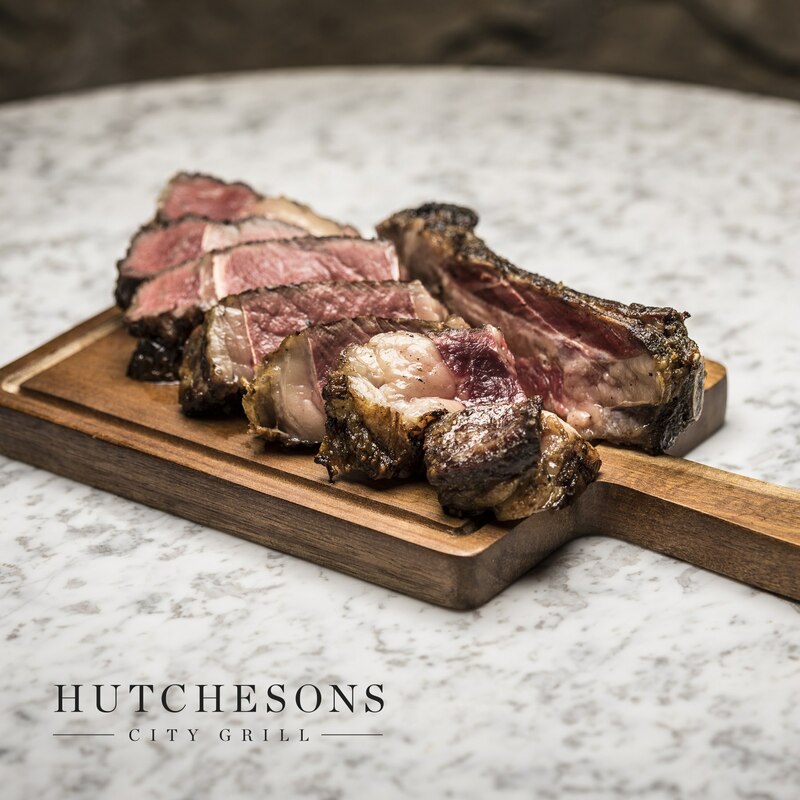 Dining in our City Grill is an experience you are unlikely to forget as our team serves up innovative dishes using the best Scotch produce from locally sourced Scotch beef, to the freshest of seafood found along the vast coasts of Scotland. Our bold, marquee dishes such as the Roast Monkfish On The Bone and our Cote De Boeuf, are positioned alongside more delicate offerings like our Tuna Tartare and our one-of-a-kind Champagne Salad with shaved truffle. Sitting in The 158 Club Lounge, with it’s rich, sultry decor, soulful funky jazz music and carefree ambience, you would be forgiven for getting a little bit swept up in at all. 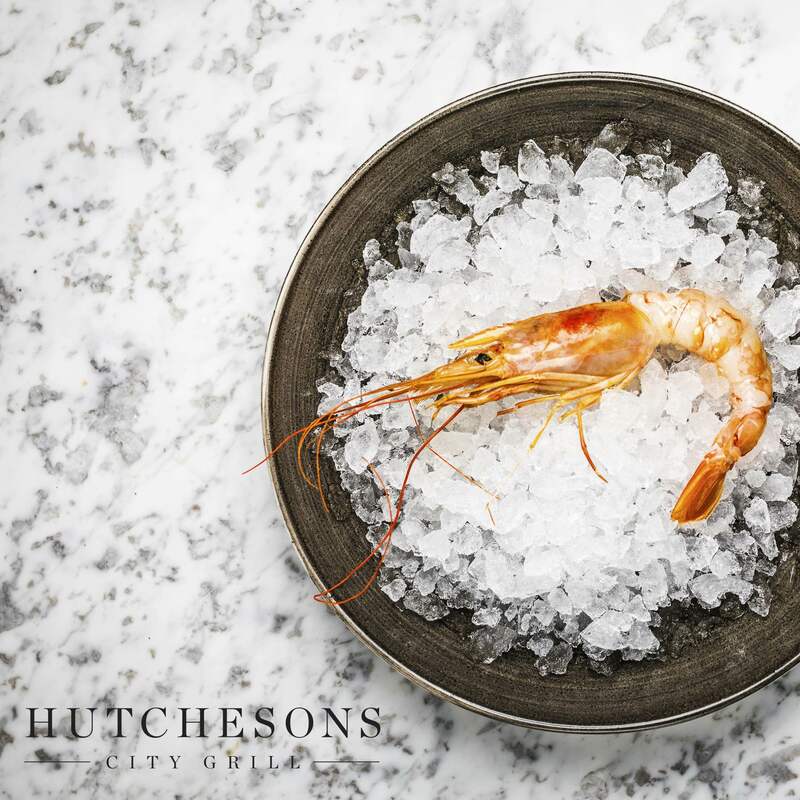 A homage to old school Glasgow glamour, the 158 is the ultimate destination for spectacular shellfish all washed down with some fabulous cocktails served from our carefully curated bar. The champagne and cocktail list really take centre stage here with a bespoke selection of some of the most prestigious houses in the world next to our own remarkable in-house creations. 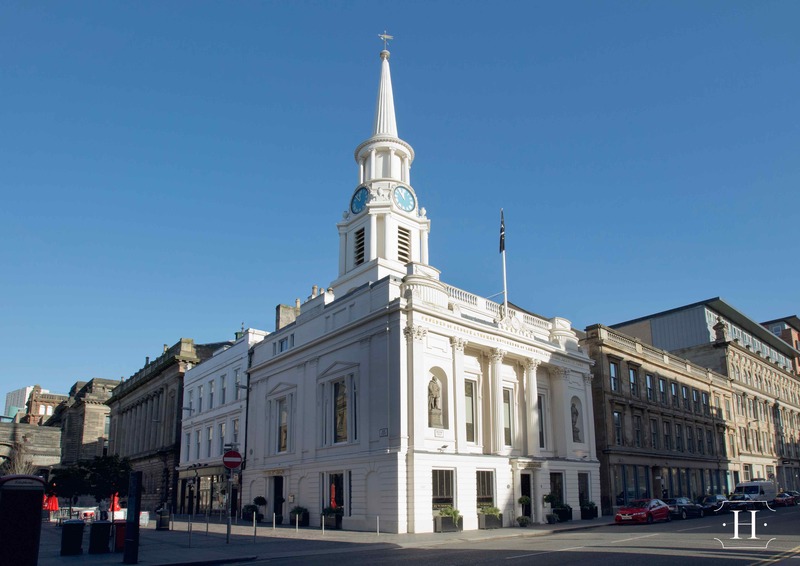 The Glenfarclas private dining and meeting room at Hutchesons is a warm and intimate space designed to keep the original character of Hutchesons, with luscious dark panelled walls and decor providing the perfect backdrop to enjoy a family celebration or a private meeting with colleagues. Through an exclusive partnership with George Grant of Glenfarclas whisky – who are sixth generation family distillers based in Perthshire, we are the only venue to house of all the spectacular Glenfarclas family casks under one roof in the UK, and in doing so offer a unique space for whisky tastings, dinners and events in the heart of Glasgow’s city centre and Merchant city. Lovely experience. Very friendly staff. This was the second weekend in a row I have had dinner and drinks here I absolutely love everything about it, the atmosphere, the staff, the service and the quality of food is top notch. Thanks again guys for an awesome evening. Booking from London for Husbands 50th Birthday. I found reservations to be very helpful. Arriving at restaurant to the Glenfarclas private dining room , the atmosphere was cosy. The server and service was friendly and timed well. A very enjoyable evening. Definitely be back! Friendly and helpful staff but not intrusive. Would like Chimi Churi sauce. Wee bit over priced. Loved the bacon and cheese oysters. Good meal, good service, however, I was disappointed that my earlier phone call was not answered and message left not acted on. In my own business, I never assume that everyone has access to a computer/internet. Fantastic service and wonderful food. Lovely day for a belated Mothers Day! Had a great time - unfortunately, we miscalculated the cost of steaks, and thought that the price of the steak when cooked, was the price used to calculate cost. This resulted in us spending far more than we had budgeted for! If that could be made clear if ever the "weight after cooking"  is being discussed, that would be great. Just thought I should highlight this. My boyfriend and I went to Hutcheson's for his birthday on a Friday night after my manager at work kept raving about it. We definitely know why! The building is absolutely stunning and the interior decor with the green velvet chairs gives off a royal vibe. It goes without saying the food was fantastic as well. We ordered the Camembert starter and the Chateaubriand main. Our server was lovely and attentive as well. Highly recommend this restaurant for any occasion. This was our 3rd visit. excellent. We thought the food was delicious and the service excellent overall. On the negative side, the small square table that we were given wasn't large enough for all that was on it and we felt that our starters arrived a little too soon after our bread and olives were served. The food okay, asked our steak to cooked medium, some of the cuts were medium rare It is a VERY expensive steak house, you’re probably paying more for the setting I would say, we had a starter each, shared a cut of steak (tomahawk) and 1 drink each, no dessert and it came to £141. It was a one off to come here, and because of the price I wouldnt return. Our male server was fantastic. Very friendly and attentive which added to the enjoyment of the meal. Drinks in the bar took far too long , waited 15 minutes from ordering . We had a lovely morning at bubbles and brunch! Thank you to our waiter he could not have been more helpful. We enjoyed our bubbles and brunch in this beautiful venue. The food was lovely, brought out promptly. Our waitress was attentive and friendly but a bit clumsy when topping up the prosecco as the ice water kept getting dribbled over my husbsnd’s arm. None of the 3 ladies toilets were flushing properly, I would’ve expected more from a lovely high end place. However we enjoyed our visit and these minor things wouldn’t stop us returning. First bottle of prosecco was flat, nobody can predict that happening and Andre changed immediately and replacement was fine. Would've liked a little more time between the croissant and main course being served but food was lovely. Will definitely return.